Adiantum aleuticum is very similar to A. pedatum but noticeably different when compared together. A. aleuticum is native to the western half of North America and East Asia. 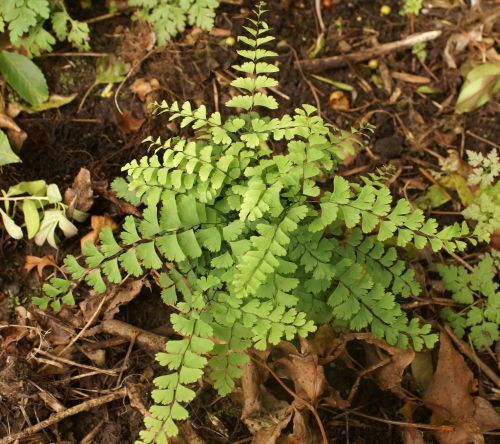 It is a very hardy fern, and, despite its delicate appearance, very tough. 'Imbricatum' is a dwarf selection with green to blue-green foliage and purple wiry rachis. This variety forms a dense clump and is very easy to establish in good humus-rich, moist soil in shade.